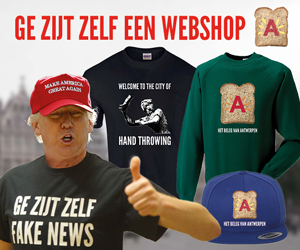 INTERNATIONAL NEWS – The city of Brussels has prepared a special welcome to U.S. President Donald Trump, who is scheduled visit the Belgian capital for a NATO meeting on Wednesday 24 May. Some of the country’s most renowned artists have been commissioned to design and construct a customized flower carpet of tulips, poppies and sunflowers, which will adorn the city’s famous Grand Place for a full week. It is the first time in Belgian history that an artwork of this magnitude is dedicated to a visiting head of state. Mr. Trump will be making a highly anticipated visit to the NATO headquarters in Brussels later this week. A planned protest march against Mr. Trump’s visit is expected to attract thousands. Mr. Trump has already responded fairly positively to the artwork in a tweet and when prompted for a comment during a press conference, he assured his uneasy hosts he would “come with the best intentions, all the greatest intentions” and that he was considering moving the people of Belgium up from “total” to “just partial losers” from now on.